How to achieve greater protection of the mortar once it has been palletized? How to improve your transportation and storage? How to increase production while saving on costs? These were some of the challenges that Rodacal Beyem trusted to Innova, which were solved thanks to Stretch Hood wrapping technology. The project, carried out in its new plant in Zaragoza, has allowed to increase its production considerably, save on packaging costs and improve the protection of its loads. Read how it was possible! Rodacal Beyern is dedicated to the manufacture and distribution of products for construction, and specialized in cement and mortars. The company has factories in their headquarters in Roda (Albacete) and in La Muela (Zaragoza), where the renovation project has been carried out. Rodacal needed a system that would provide greater protection of its final product once palletized. The system they used at the time was not completely satisfactory, since it was a packaging with a wrapping system, which could not provide the protection and total tightness against humidity that the product required. 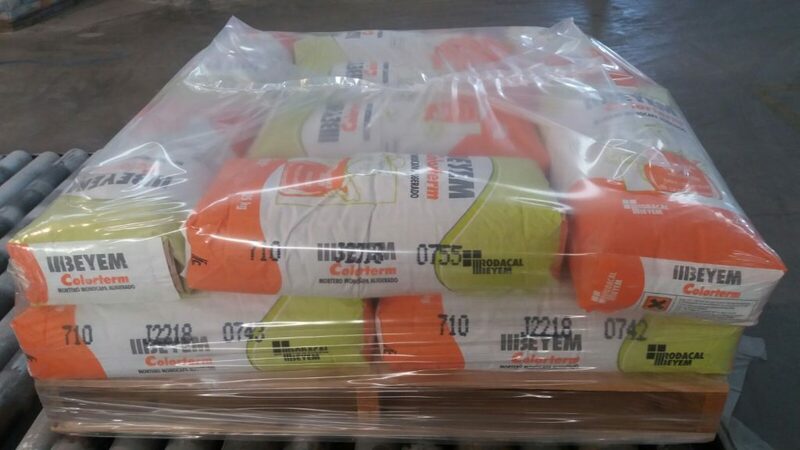 On the other hand, the wrapping caused an added problem since the use of film was quite considerable, causing higher costs in each packaged pallet. In addition, the cement company was also looking for a packaging that shows better its brand and contents of the pallet. Innova offered a solution to tackle their protection issues before external agents. With Stretch Hood, the cover adapts to the load, so it is fully protected and waterproof tight, without risk of getting wet or damaged in its storage. In addition, the film used by Stretch Hood is completely transparent, offering total visibility of the pallet content, including their brand and code readability. 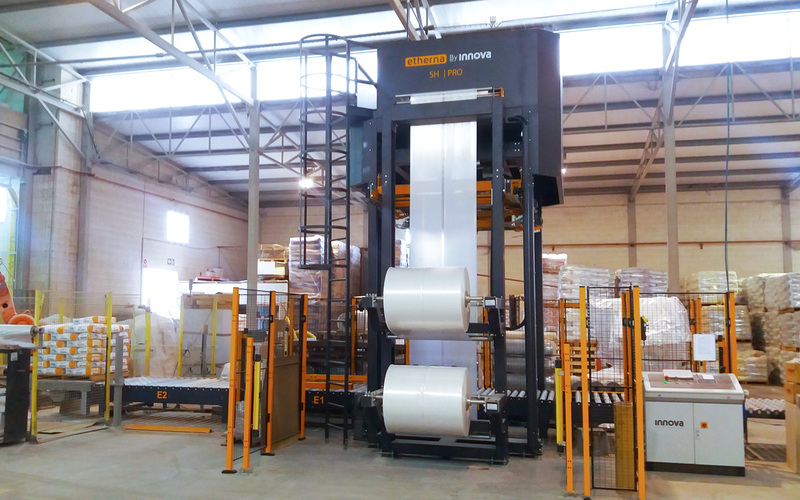 The final project in Rodacal has consisted of a Stretch Hood line ETHERNA By Innova with conveyor and centering systems. The Stretch Hood machine covers 4 different pallet formats, adapting the packaing to the different sizes needed. The installation joins two different product lines to the same final packaging system. Therefore that the packaging capacity has been considerably increased thanks to the Stretch Hood system. 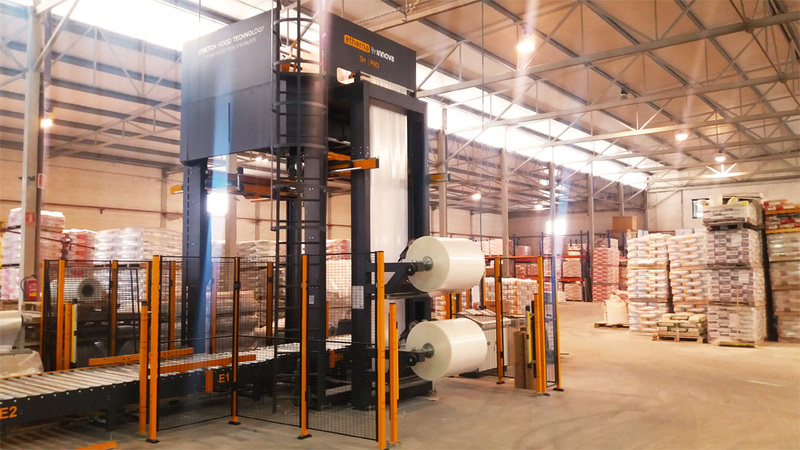 The Stretch Hood solution has also led to considerable savings for Rodacal in the use of consumables (film) and energy, both due to the change of the packaging system used. For his part, Rodacal Beyern has shown us his satisfaction with the results of the installation and his confidence in Innova and Stretch Hood technology. For Innova, the Rodacal project has been very enriching, since it allows us to further adapt the Stretch Hood technology to the needs and demands of the construction materials sector. Thanks to Rodacal for relying in Innova for your project!